bookbloggin | GPS folks reading, writing, and recommending great books. GPS folks reading, writing, and recommending great books. Have you ever felt like you knew a book character personally? Like you could imagine what they might say in different situations? Well, this is how Cath Avery feels about Simon Snow, a Harry Potter-esque character/book series that Cath and her twin sister Wren grew up reading and loving as a way to cope with their mom leaving. It just seemed natural that they would start to write fan fiction about Simon Snow and the other characters Simon’s magical world. When Cath and Wren go off to college, Wren tells Cath that they shouldn’t be roommates so they can “meet other people”. Cath finds herself dealing with a difficult Fiction Writing professor, a roommate Cath is convinced hates her, two boys who *might* like her, but how do you tell? and a bi-polar dad who struggles to take care of himself with his only daughters off at college, all while Wren takes up an unhealthy party lifestyle. When Cath writes Simon Snow fan fiction, though, none of those things can get to her. She can completely enter the world of Simon Snow, and with thousands of readers eager to devour her next installment, she has even more motivation to spend time writing rather than being social. Can Cath find the courage to live her life and create her own story? Interspersed with excerpts from the “canon” Simon Snow books as well as Cath and Wren’s contributions to the fandom, this is a quick and entertaining read with lots of heart. Anyone who followed and loved the Harry Potter series will identify with the emotional connection that can grow from a vivid world and well developed characters, as well as the sense of sadness when those books end. The year is young, but this is one of my favorites, so far! If you like this book, you should definitely read Rainbow Rowell’s Eleanor & Park. 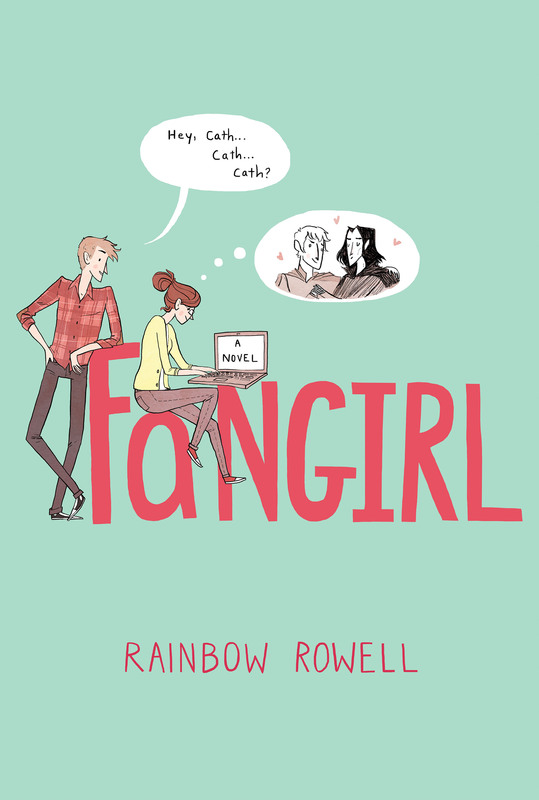 Rowell does such an amazing job creating characters and relationships you don’t want to stop reading about, and I’m very excited to follow her as she continues her writing career! This exciting historical fiction novel follows two women (best friends), one of whom is a pilot and the other a spy during World War II. When “Verity,” the spy, is captured in France and tortured by the Gestapo, she writes an account of how she got to be there, how she and her best friend Maddie, the pilot, came to be “a British invasion of two,” and how everything went terribly wrong. Without giving too much away, I will say that this book has some major plot twists – right as you are starting to get comfortable with how the story is playing out, you get pulled violently in a different direction! This is not a quick read, but it is so worth it! I loved the story as well as all the historical details about women pilots and spies in World War II. Though this books does not wallow in graphic descriptions, there are details of torture and war – it is probably best for mature readers. Teenagers Allie and Nick are traveling in cars that collide head-on and are killed instantly. As they travel down the tunnel towards that proverbial light, they bump into each other, knocking one another into a kind of young adult purgatory known as “Everlost”. There are no adults in Everlost because, as one character explains, “even when adults are lost, they seem to believe they know where they are going.” Ha! Maybe they should say that no men are in Everlost? 🙂 Sorry, I digress…Right, there are no adults in Everlost. 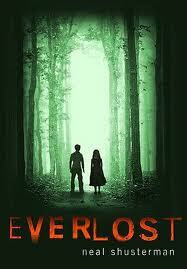 There are a whole set of rules and dangers in Everlost that they must learn if they are to survive. They must keep moving or they sink into the core of the Earth. No one can interact with the living unless they possess a special power called “skin jacking”. Certain beloved objects can be knocked into Everlost intact–like the World Trade Center–and the children can use them. A monster stalks Everlost known simply as “the McGill”. Nick and Allie traverse this parallel world in search of a way out, but where to? Can they get back to life? To death? This is a really great, fast paced adventure that begins a trilogy that both middle and upper schoolers will enjoy. “Peyton Farquhar was dead; his body, with a broken neck swung gently from side to side beneath the timbers of the Owl Creek Bridge.” Does this quote seem familiar to any of you? It is a line from Ambrose Bierce’s Civil War era short story “An Occurrence at Owl Creek Bridge” which I read during my GPS days. Ambrose Bierce was a soldier and author whose disappearance in 1913 has never been solved. Apparently Bierce’s disappearance was not the only mystery surrounding him. 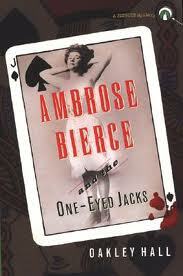 In Oakley Hall’s novel, Ambrose Bierce and the One-Eyed Jacks, Bierce and his sidekick Tom Redmond solve a couple of mysteries themselves. Hall’s novel takes place in San Francisco in the spring of 1891. In this picturesque city, there are sinister goings on- child labor, child slavery, missing women, blackmail, and of course, murder. Bierce and Redmond are reporters working at William Hearst’s newspaper, the San Francisco Examiner, and Hearst ask them to investigate some missing photography plates. The search for the missing plates leads Bierce and Redmond into the world of Chinese gangs, prostitution, and corrupt British sailors. One-Eyed Jacks explores the underbelly of San Francisco, which contains all of the seedy elements that make a good mystery. Fans of both mystery and historical fiction will like this read, and for those who do like One-Eyed Jacks, I would recommend a couple of other sleuthing authors found in Mark Twain’s Pudd’nhead Wilson and Dan Simmons’ Crook Factory, along with Hall’s other Bierce novels. Everyone knows about the horrors of the Holocaust and what Hitler and Germany did to the Jews. But very few of us know what Stalin did to the Latvians, Estonians, and Lithuanians when Russia swallowed up their countries. He deported millions to Siberia, enslaved them, starved and froze them to death. 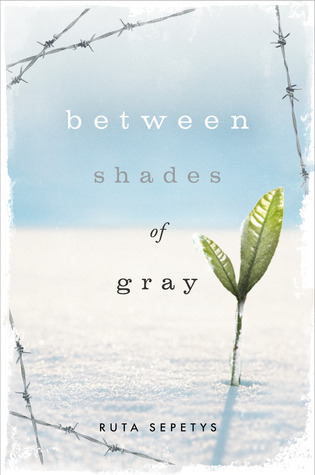 Between Shades of Gray by Ruta Sepetys is a well-written story of this holocaust, of the misery, suffering and death; however, it is also a story of hope, perseverance, and faith. Sepetys has written a well-researched, poignant story that is unforgettable. Do you remember being a 10 year old kid? Aside from those future actors and cheerleaders among us, really we just wanted to fit in, didn’t we? We didn’t have to be the most popular, the best athlete, the best anything really…we simply wanted to be liked and accepted for who we were. Now imagine you’re Auggie Pullman, a ten year old boy who was born with severe facial deformities. You’re bright, funny, and loving…”ordinary” on the inside, yet not ordinary to the rest of the world. You have been homeschooled so that you could recover from the 27 surgeries it has taken to get you to the point where you can eat and breathe on your own, but that still get stares, questions, and sometimes even horrified gasps when you walk down the street. Now imagine you’re starting a new school, your first ‘real’ school experience, and the courage that it takes to walk down those halls on your own. 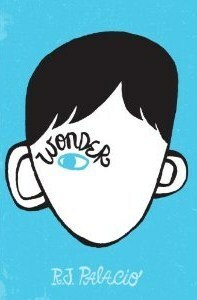 I don’t want to give too much away, but I will say that Wonder is one of those books that will change your life. It will make you cry happy AND sad tears. It will teach you about love and it will make you think deeply about bullying, inner-beauty, courage, acceptance, friendship, loyalty, and character. 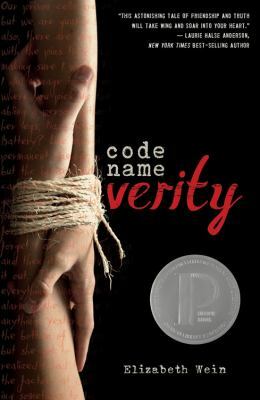 It is written at a middle school level, but we should all read this book. We will all be better for it, that I can assure you. I’m going to do my best to get this book in as many hands as possible at my school, watch out GPS! I’ve found one I’m passionate about! If you’re as frustrated as I am with unseasonably warm weather so close to Christmas then I suggest you cool off with Shiver by Maggie Stiefvater. This is the story of seventeen year old Grace who has spent years watching a pack of wolves living in the wintry Minnesota woods behind her house, feeling inexplicably connected to them. One yellow-eyed wolf, “her wolf”, watches back. Sam is no ordinary wolf. He is actually a werewolf who spends the cold months in his wolf form, silently watching Grace, and in the warm months he is simply a quiet boy who works at the local book store. The only constant: his unusual yellow eyes. When the two finally meet in human form, their love blossoms beautifully. As if teen relationships weren’t difficult enough, this one is tested constantly by the slightest drop in temperature. Action packed without a lot of gore, this romantic tale is a sensory delight. You’re guaranteed to feel the chill of a cold Minnesota morning, to smell hot chocolate in the air, to visualize the light dappled woods as the wolves run through it. For mature teens and adults alike, I definitely recommend this one to be enjoyed in front of a fire, under a soft blanket, with a hot cup of cocoa preferably. Enter your email address to subscribe to Book Bloggin' and receive notifications of new book reviews by email.